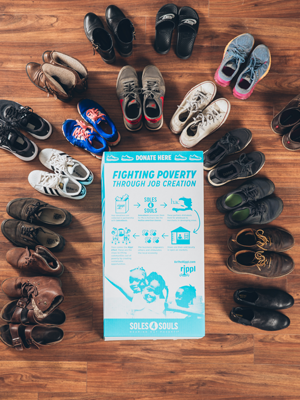 After graduating from Trevecca, Lucas Reed (’14) went to work for Soles4Souls, a nonprofit with a mission to create sustainable jobs and provide relief through the distribution of shoes and clothing. While there, Reed had an idea, one that he believes God gave him. That idea took shape as Rippl, a nonprofit Reed started in April 2017 that works in partnership with Soles4Souls. Rippl coordinators collect shoes through shoe drives, partnerships and networking. Those shoes are then processed and distributed to micro-partners in developing areas who use the inventory to create thriving businesses and communities. Learn more about Rippl at betheRippl.com. This academic year marks the tenth anniversary of Trevecca’s J.V. Morsch Center for Social Justice. Learn more about the Center at trevecca.edu/socialjustice.